PRODUCT OF HATE has entered 2017 by releasing “Revolution of Destruction,” the fifth official video from their Napalm Records debut album, BURIED IN VIOLENCE. This thunderous slice of genuine American metal is an anthem for a new year, destined to provoke fists in the air. 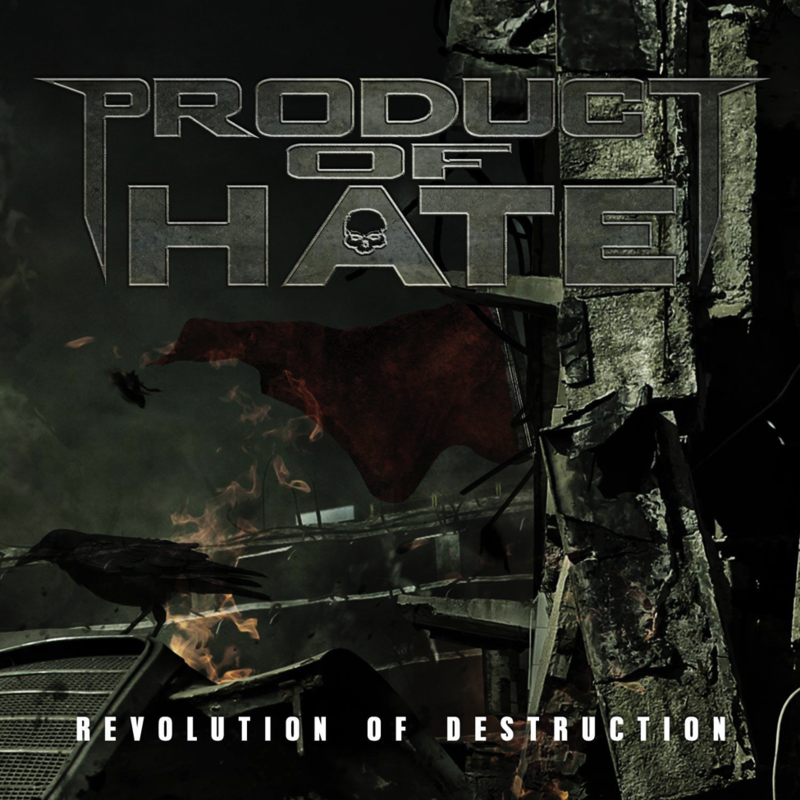 PRODUCT OF HATE recently wrapped 2016 with their album-closing cover version of Ozzy Osbourne’s “Perry Mason” being named one of the “Best of 2016” in SiriusXM Liquid Metal’s New Year’s Corridor of Covers. Looking ahead, the band looks forward to hitting the road in further support of the album, with the next tour announcement expected shortly. Born in 2007 in Southeastern Wisconsin, and hailed as “One of 12 Bands to Watch in 2016” by Metal Hammer, PRODUCT OF HATE‘s debut album, BURIED IN VIOLENCE, hit #9 on the Billboard Heatseekers – East North Central Chart and was the #3 most added at metal radio the week prior to release as the first single, “Monster,” enjoyed heavy rotation on SiriusXM Liquid Metal. With the release of the video for “Revolution of Destruction,” BURIED IN VIOLENCE has spawned five official music videos, including “Kill. You. Now.,” “Monster,” “Blood Coated Concrete,” and “Unholy Manipulator,” in addition to both a lyric video and “Tour Edition” live video for “…As Your Kingdom Falls,” bringing the total clips from the album to seven. Touring activities for BURIED IN VIOLENCE have seen PRODUCT OF HATE on the road with the likes of Allegaeon, Napalm Records labelmates The Agonist and Hammer Fight, in addition to a run with Mushroomhead, Sumo Cyco and Madame Mayhem. BURIED IN VIOLENCE was recorded and engineered by Scott Creekmore at Mercenary Digital Studios in Zion, Illinois, with mixing and mastering handled by James Murphy (Death, Testament, Obituary) at SafeHouse Production in Florida. ← HALCYON WAY Begin Recording New Album!